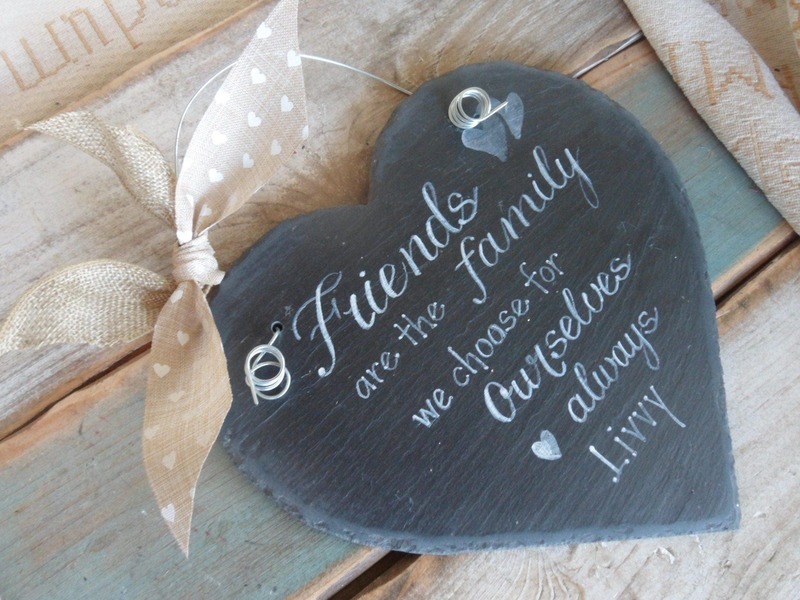 Our 22cm slate heart is the perfect gift for those special friends that mean so much to you. 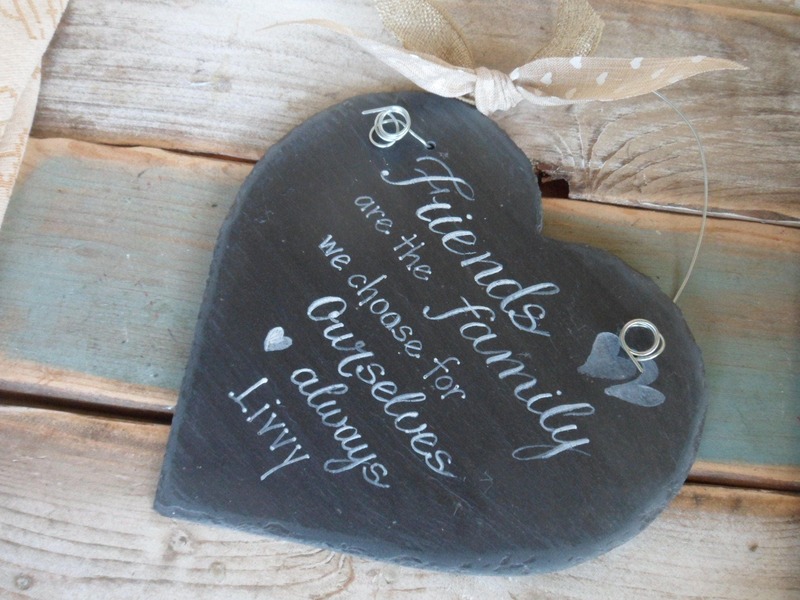 Made with quality natural slate and hand cut to produce a lovely rustic edge. 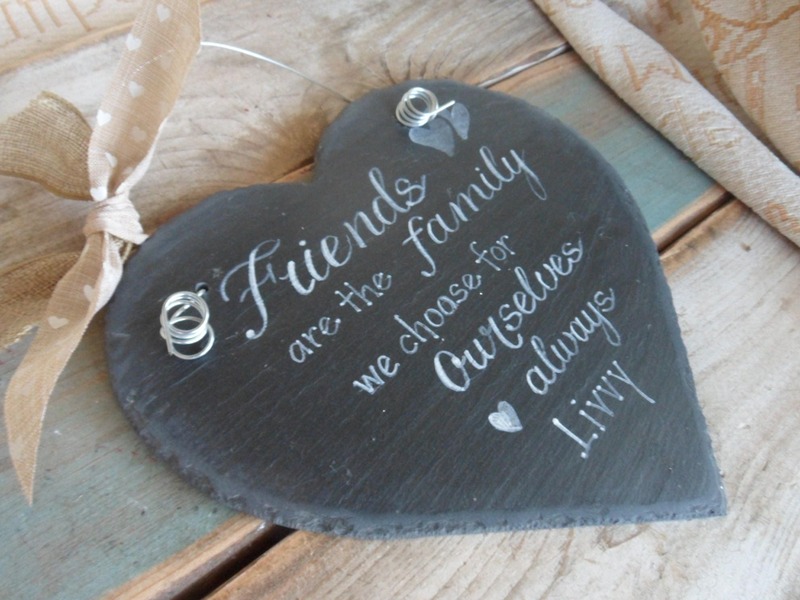 This slate is hand painted using acrylic paint. 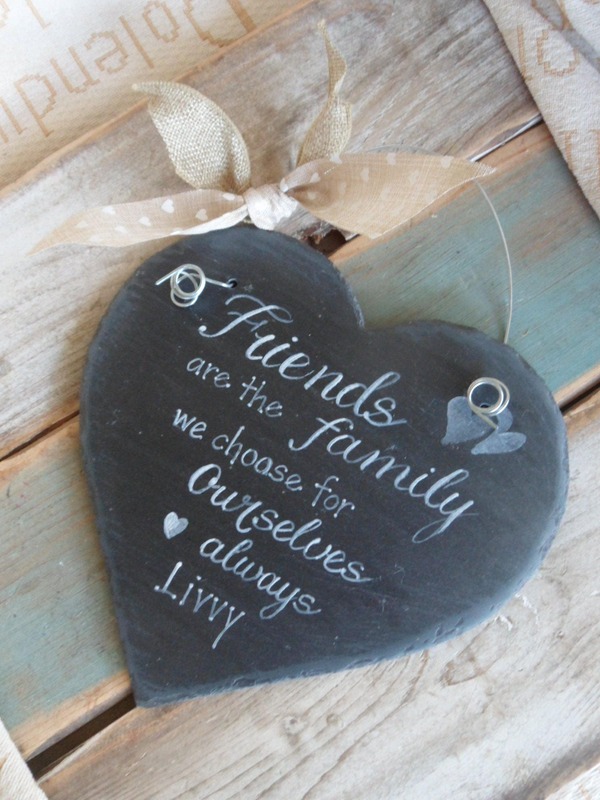 It makes a lovely, thoughtful gift to be treasured always. 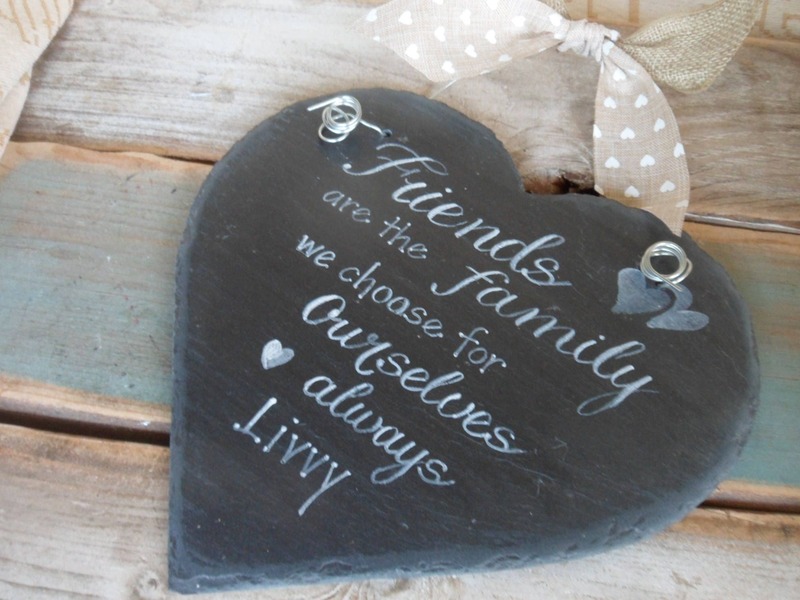 Each slate can be customised and adapted to suit you, just send us a message and we will do our utmost to help, whether it be size, shape or a different quote. Available on it's own with or without a chunky 35cm wicker surround. As with my other signs this one is completely handmade, so individual markings will differ slightly from sign to sign. With or without a hanger, it is a real statement keepsake. This look equally good sitting on a shelf or hanging from a door.